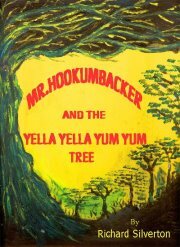 Richard Silverton’s tale of Mr. Hookumbacker and the Yella Yella Yum Yum Tree is a fun adventure story aimed for children ages 5-8 years old. Both of my girls fit right in that age range, so I thought this would be a great book for us to read together for this review. This fun adventure will tickle the reader's tongue as it is read. The names of the places and characters in the story are straight from fantasy and both of my girls ended up with a fit of giggles as I tried to read this ebook to them. I had to slow down and read it a little at a time to keep the giggles at bay. Though the story is fun and full of adventure, I think my girls liked me trying to read it better than the story itself. My youngest (turns 5 next week) got bored part way through and decided she wanted to read something else. My older daughter said it was "a fun story, and funny too." a try. It does have an environmental message about saving the trees, but it is subtle. My girls and I wished there were more pictures throughout the story, it would have been fun to see the author's imagination come to life with more great illustrations. 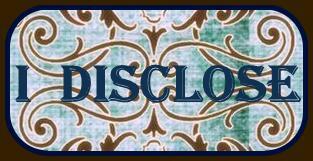 Richard Silverton (author) can be found on Facebook and Twitter. You can purchase the book on Amazon .